Topical corticosteroids have been commonly used over the last 50 years to treat various inflammatory mucosal conditions. The wide spectrum of potencies and bases allows these medications to be used effectively and safely under the care of an experienced dental practitioner. 1. 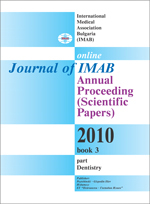 I. Hargitai, R. Sherman, Corticosteroids in Dentistry. Clinical Update. Naval Postgraduate Dental School National Naval Dental Center Bethesda, Maryland 2001 Jul;23(7):11-13.